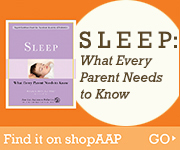 Based on an evaluation of current sudden infant death syndrome (SIDS) data, the American Academy of Pediatrics (AAP) recommends that healthy infants always be placed for sleep—whether it be naptime or nighttime—on their backs. Despite common beliefs, there is no evidence that choking is more frequent among infants lying on their backs (the supine position) when compared to other positions, nor is there evidence that sleeping on the back is harmful to healthy babies. Babies with gastroesophageal reflux should still be placed on their backs. In some very rare circumstances (for instance, if your baby has just had back surgery), your infant may need to be on the stomach for sleep. Discuss your individual circumstances with your pediatrician. 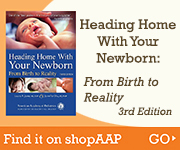 Since 1992, when the AAP began recommending this sleep position the annual SIDS rate has declined more than 50 percent.